Reaching New Zealand is easy and affordable as there are several airways operating flights from various countries. 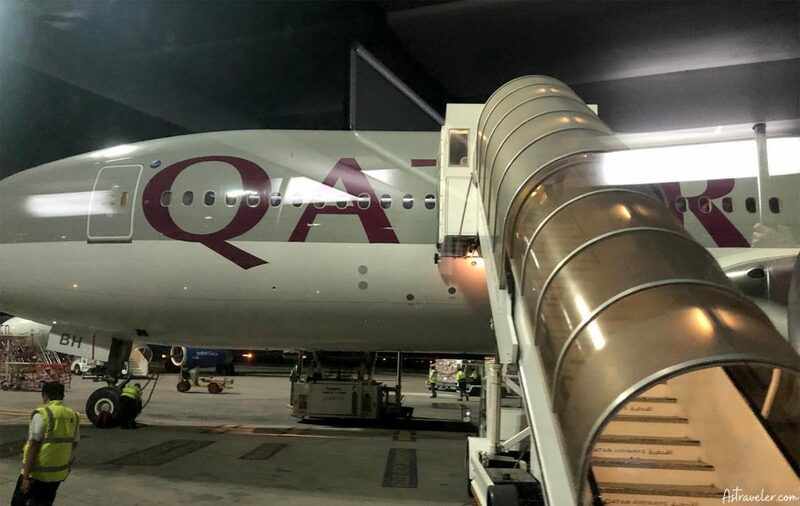 I took the economy class in QR 920 flight with Qatar Airways to reach from Doha to Auckland. It was a comfortable journey, in spite of being a pretty long one (the longest one in the world! 17hours+). The cabin staffs were extremely helpful and constantly kept offering drinks and snacks. The seats had decent legroom with a good entertainment system to keep us occupied. You can travel to New Zealand at any time of the year as it has mild climate and distinct seasons. However, the peak tourist season for New Zealand is November to April. The summer season falls in the month of December to February and it is the best time to visit New Zealand for participating in food and wine festivals and various other concerts. I was there in February and the weather was amazing! Not too hot and not too cold. Perfect for traveling with a t-shirt. Summers are quite hot so you should carry comfortable cotton clothing and a sunscreen lotion. An effective insect repellent will protect you from mosquitoes during your outdoor trips in summers. If you enjoy skiing then you should visit the country in June to August. Remember that the weather changes very quickly in New Zealand, so be prepared for all climatic conditions in any month of the year. The jewel of North Island, Rotorua attracts innumerable tourists from across the globe. It is a popular town for hot water beaches, hot water springs, as well as volcanic geysers. Tourists enjoy spending their time in activities such as water skiing, fishing, and canoeing in Lake Rotoite and Lake Rotoehu. Once here, you can explore the interesting culture of New Zealand by visiting the Rotorua Museum, which has been rewarded for being the Best Cultural and Heritage Attraction. There are several events held each year in Rotorua; like Marathons, Fishing Tournaments, Mountain Biking Series, Wearable Creations and Color Awards, and much more. 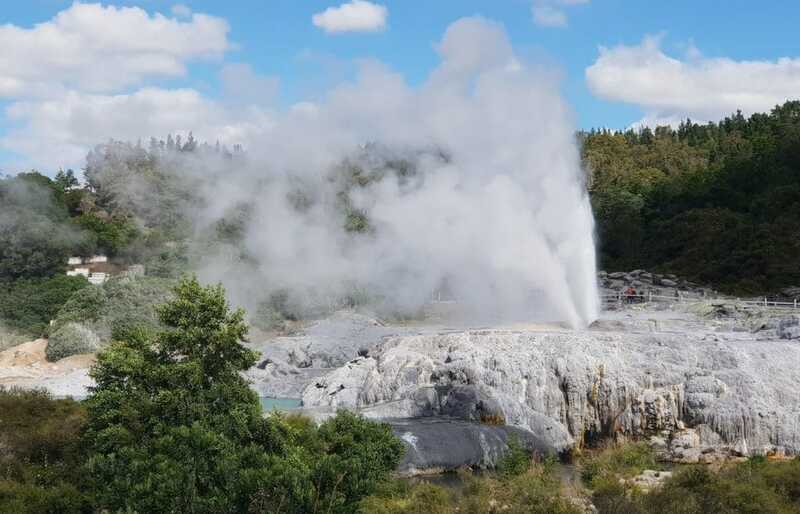 So, there is something for all ages, which makes Rotorua a big hit among family travelers. 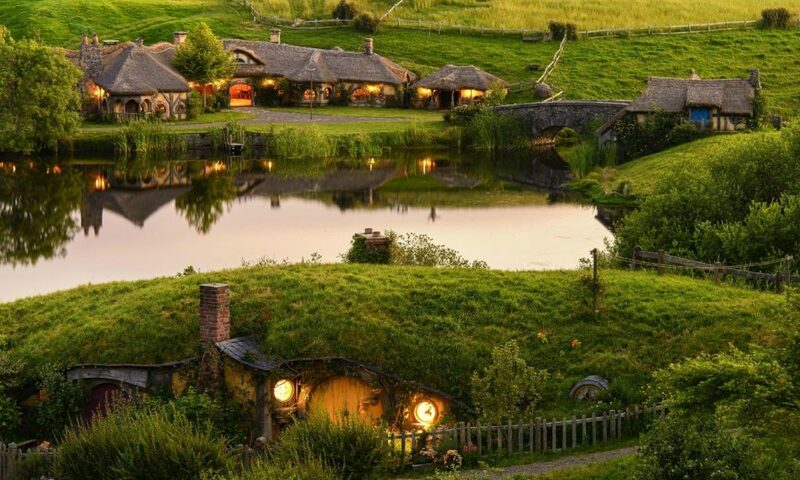 If you have loved watching The Hobbit Trilogies and The Lord of The Rings movie, then you will certainly enjoy visiting the Hobbiton Movie Set. Here, you will be able to see, smell, and hear the sounds of The Shire, and view the iconic movie set in its full glory. The Hobbiton Movie Set in New Zealand is accessible only through guided tours. You can reach there from Auckland, Rotorua, Hamilton, Tauranga, and Taupo & Tirau. There are various tours held for varied kinds of visitors. Usually, tourists prefer booking Hobbiton tours from Auckland, as in the low season you can avail plenty of discounts. So, select your Hobbiton tour and have an enjoyable time while wandering through the paths of The Shire. 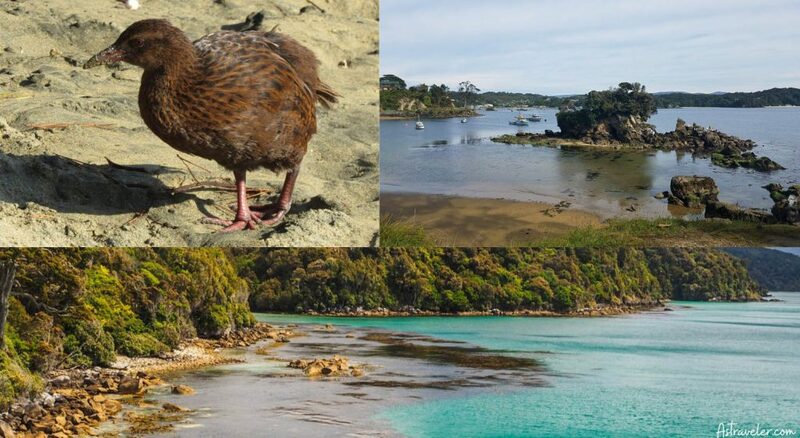 Stewart Island is the finest place to visit for viewing various species of Kiwi Birds. These flightless birds are a national icon and treasure of New Zealand. Just a few hours on the island will help you to see several Kiwis. This is because; the number of Kiwis existing on the island is more than the population of humans. 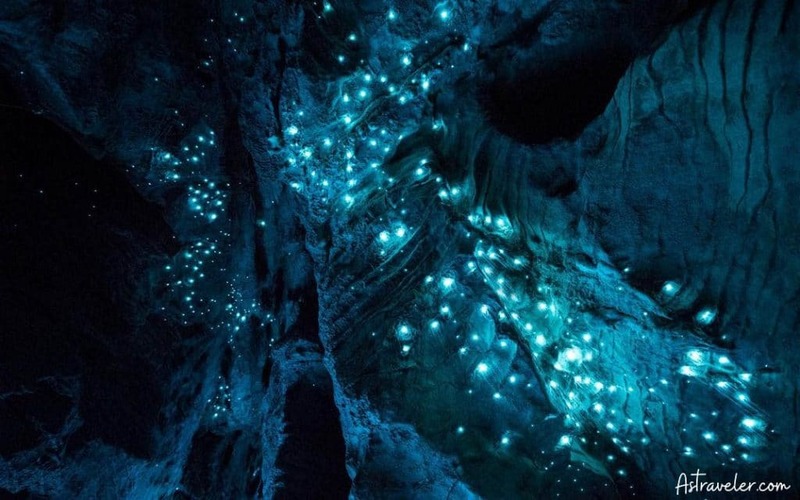 To view the sight of thousands of magical glowworms, you should visit one of the Glowworm Caves. There are over 300 caves in Waitomo and you can book an adventurous tour to one of the caves by checking online. There will be a local guide provided with the tour to show you some of the mesmerizing glowworms. Don’t forget to carry your cameras to capture these beautiful moments and take glowing memories back home. 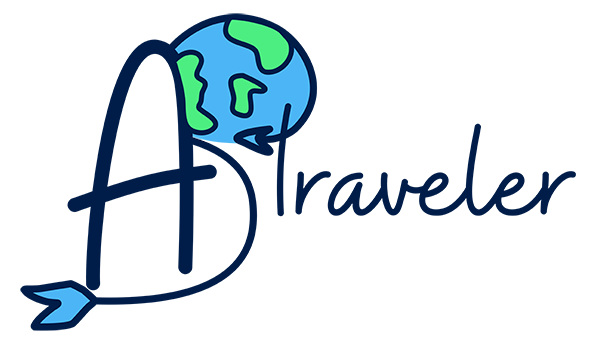 An interesting fact is that New Zealand has three official languages – New Zealand Maori, English, and New Zealand Sign Language, which is the main language for deaf community. These three languages have special status under the law and can be used in legal proceedings. Did you know that the population of animals is much more than humans in New Zealand? The high rate of animals and birds in the country is because it was isolated for a long time from other land masses. Do you know that the steepest residential street in the world is in Baldwin Street in Dunedin? The street has also been mentioned in the Guinness Book of Records. And, if that was not enough then the longest place name in the world too is from New Zealand. Taumatawhakatangihangakoauauotamateaturipukakapikimaungahoronukupokaiwhen­uakitanatahu is an 85 characters word, which is the name of a hill that is located near Porangahau. The world’s clearest lake is the Blue Lake in Nelson Lakes National Park, New Zealand. Also known as Rotomairewhenua, the Blue Lake has earned the title of being the clearest natural body of fresh water on the planet. Sadly, you cannot swim in the lake as it is regarded as sacred. Manuka Honey is a rare and special product of New Zealand that has delicious rich flavor and smooth texture. Visitors carry bottles of honey to their hometown as it consists of remarkable natural qualities. There are innumerable wine production regions in New Zealand like Hawkes Bay, Waiheke Island, and Wairau Gulf, among others. You can purchase white wines or deep red wines from these regions to take back home as a gift for your loved ones. Some of the popular wine brands of New Zealand include Foxes Island Wines and Cape Campbell Wines. The original inhabitants of New Zealand; the Maoris offer several unique crafts for sale throughout the country. You can purchase some of the wood carvings, jade jewelry, bone carvings, or silver jewelry as souvenirs. Air New Zealand is the national airline of the country, which operates non-stop services to international ports as well as 20+ domestic destinations. 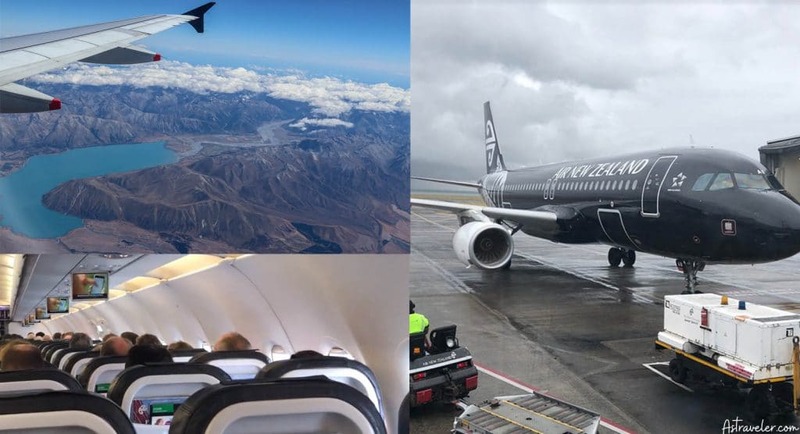 Traveling from popular destinations like Auckland to Queenstown gets simpler and convenient through Air New Zealand flight NZ617. I took that flight and I can say that the seats are comfortable and the crew is extremely helpful. During off-seasons, you may even get a chance to select your seat at the time of booking. As New Zealand has several regional airports, it gets enormously easy to travel around the country. Taking a flight to different cities would make your travel quick and comfortable. Renting a car in New Zealand is the most convenient way to explore the country at your own pace. There are innumerable car rental companies that offer varied kinds of affordable vehicles for your entire family or group of friends. You can either select a car on a budget, mid-range, or spend lavishly on a sleek sports car. Most of the cars that you rent will have GPS and air conditioning. Remember that you have to drive on left hand side of the road. If you want to use a mobile phone while driving, then make sure that you have a hands free unit. There is a huge fleet of bus and coach services available in New Zealand for locals as well as tourists. You can use the bus services to travel in and around a particular city or to reach neighboring cities and towns. It is the best way to travel for those who want to enjoy the place without the hassle of self-driving. You can even use the hop-on-hop-off bus services to visit major destinations of a city. To use these services in an affordable manner, you can purchase a pass that can be used for unlimited travel. To view spectacular sceneries of national parks, river valleys, and volcanic landscapes; it is recommended to have a train journey in New Zealand. 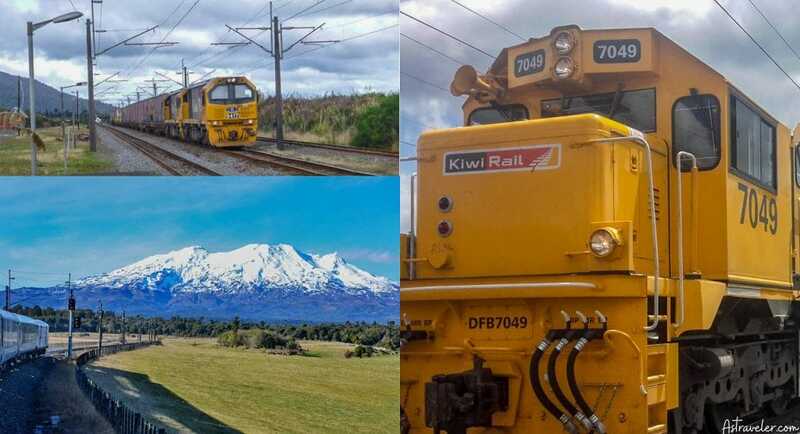 Through these rail journeys, you can explore the North Island that links Auckland and Wellington, Coastal Pacific that connects Picton to Christchurch, and TranzAlpine that links South Island. 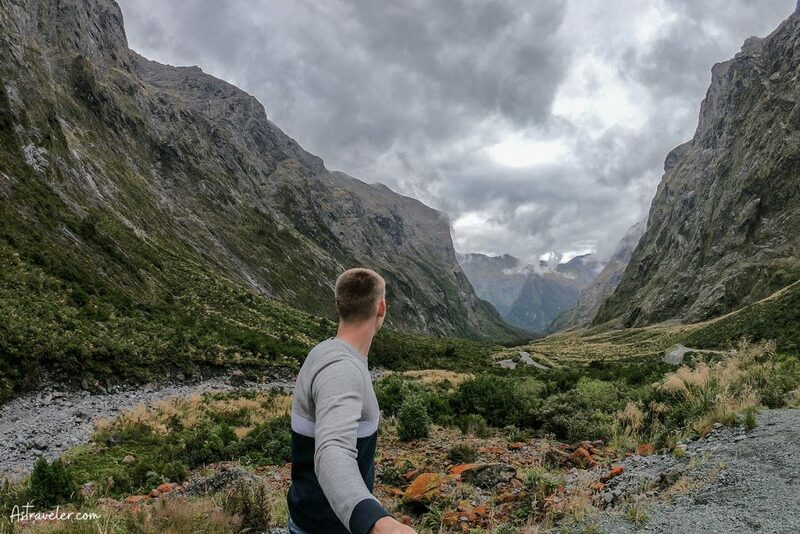 If you want to explore these places on your trip to New Zealand then it is advisable to purchase the multi-day scenic Rail Pass that will let you hop-on-hop-off at your convenience. There are several eatables, animal products, and plant products that are restricted to bring into New Zealand. So, ensure that you avoid bringing anything of this kind. Also, carrying medications without doctor’s certificate is restricted. Driving in New Zealand can be quite different than driving in your country. You are supposed to drive on the left-hand side of the road. Remember that you may come across cattle on narrow roads, so drive carefully especially if you are in rural areas. Follow the road rules and signs and never use a mobile phone while driving. Things To Do In Auckland: The Largest City Of New Zealand! Your trip to New Zealand would be incomplete if you do not spend a few days in Auckland. As it is the largest city, visiting several popular attractions could be tiring. To make the most of your time, here are some amazing things to do in Auckland that should not be missed at any costs. The world famous icon of Auckland; the Sky Tower is 328 meters tall and offers panoramic 360 degree views of the city. Moreover, the base of the tower is equally popular among tourists as it consists of numerous restaurants, cafés, bars, gift shops, casinos, and hotels. The cost for entrance ticket to view the Sky Tower is $32 per adult and $13 per child between the ages 6-14 years. Kids below 5 years of age can enter for free and senior citizens above the age of 60 can pay $23 for their ticket. Although the tower is open for 365 days, the timings keep varying with the change in weather. So, you can check their timings here before visiting this amazing entertainment hub. To view some of the beautiful vineyards and beaches, you should visit the Waiheke Island, which is about 40-minute ferry ride from Auckland. It is advisable to allot an entire day from your itinerary to explore this mesmerizing island in Hauraki Gulf of New Zealand. 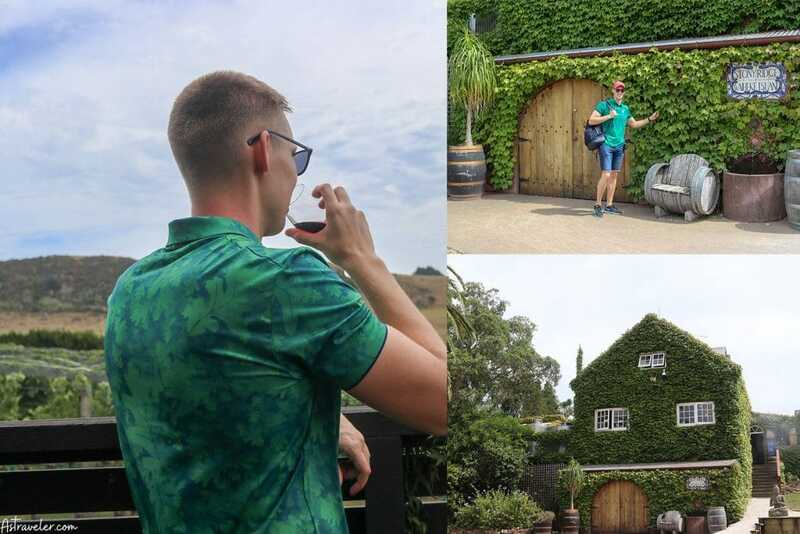 Popularly known as the ‘island of wine’, the Waiheke Island has about 30 wineries and innumerable cellar doors (tasting rooms) where you can taste various varieties of wines. During my visit to Waiheke Island, I did one of the most exciting and adventurous zipline activity provided by EcoZip Adventures. The incredible 360 degree views of Waiheke Island with forest, beaches, and Auckland City at the backdrop was the highlight of the day. It is a three-hour tour that also consisted of guided nature walk through the island. The total cost of the tour is $119 per adult and $79 per child under 16 years of age. 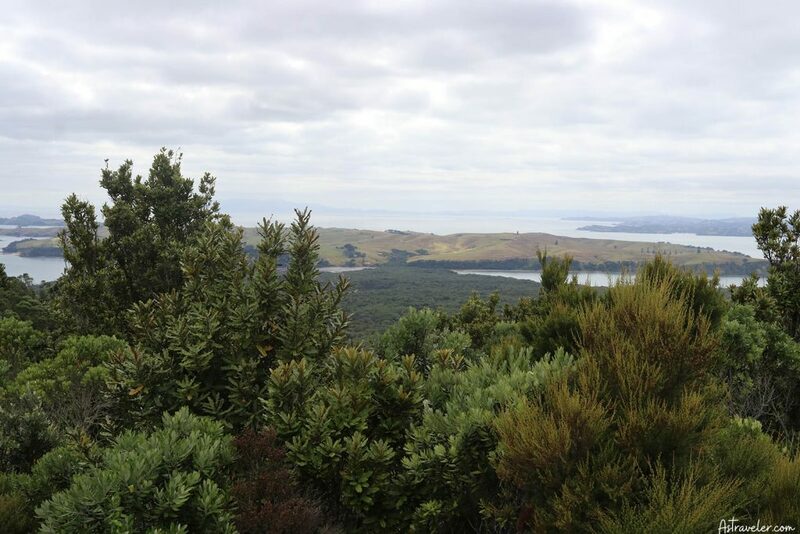 To view the most iconic island of Auckland, you should visit Rangitoto Island. Tourists usually visit the island to analyze the volcanic field and gain information about its history. Remember to bring a torch along, so that you can see the black lava caves properly. The peak of the island is about 260 meters above sea level and capturing some of the mesmerizing scenic views would be a great way to bring back happy memories. 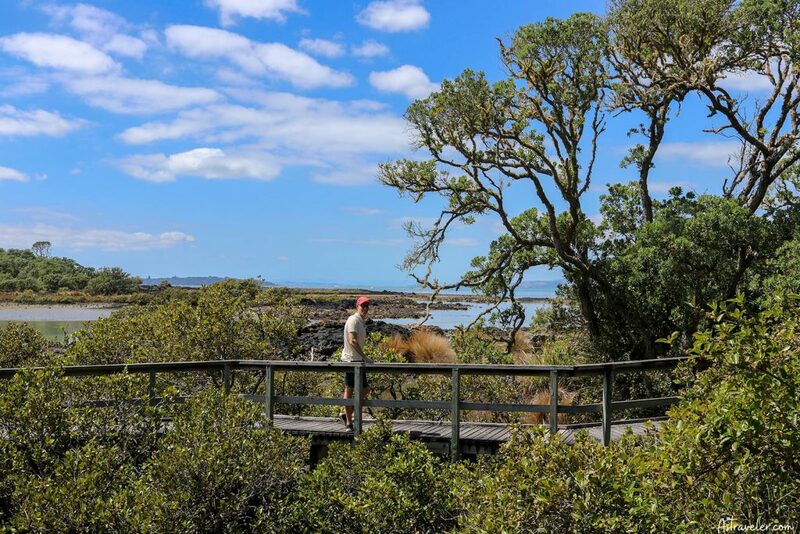 I had already booked for the Rangitoto Island Tour online so that I could explore the entire volcanic island and its history by 4WD road-train. I was provided with a friendly and highly knowledgeable guide who explained in-depth about the geology of the island. There is a short hike to reach the top of the island and the views of Hauraki Gulf and Auckland from the pinnacle was simply amazing. The tour’s cost was $49.17 per person and it was completely worth the price! 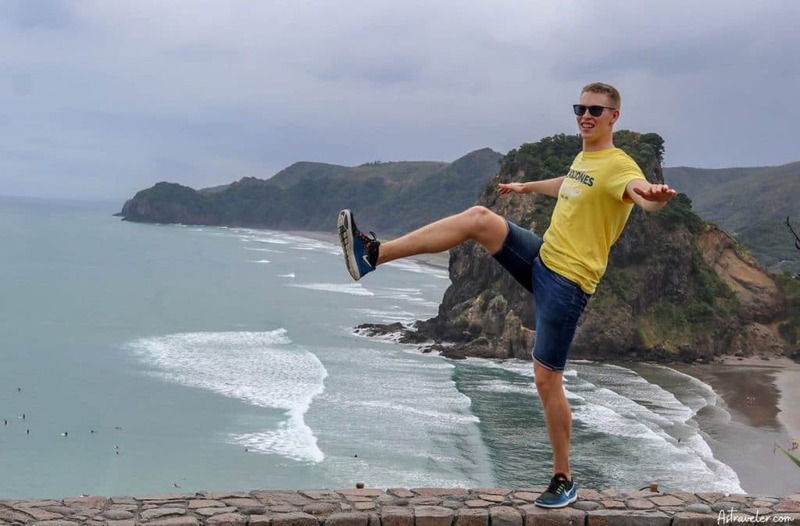 Tourists usually visit the Piha beach to surf on the clean waters, relax on the black sand, and walk through the forests in the surrounding hills. You may even take surfing lessons before venturing in the sea. Summers are the peak season; but, the water is strong and has dangerous currents. However, there are several lifesavers that patrol the flagged areas that are fit for swimmers. Personally, I found the Piha Paradise Full Day Trip to be a good selection for discovering the entire area properly. 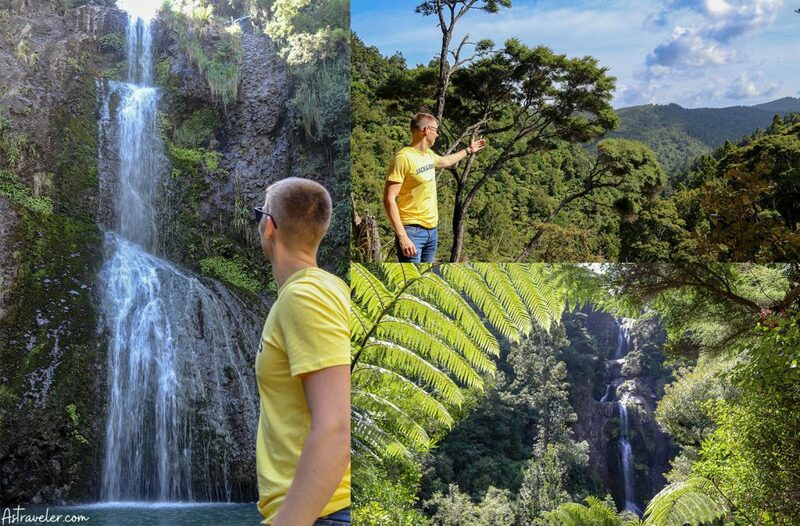 The tour involved a drive through the Waitakere Ranges Regional Park, a walk to reach the spectacular Kite Kite Falls, and a guided tiki tour around Piha so that you do not miss the ‘must-see’ locations. 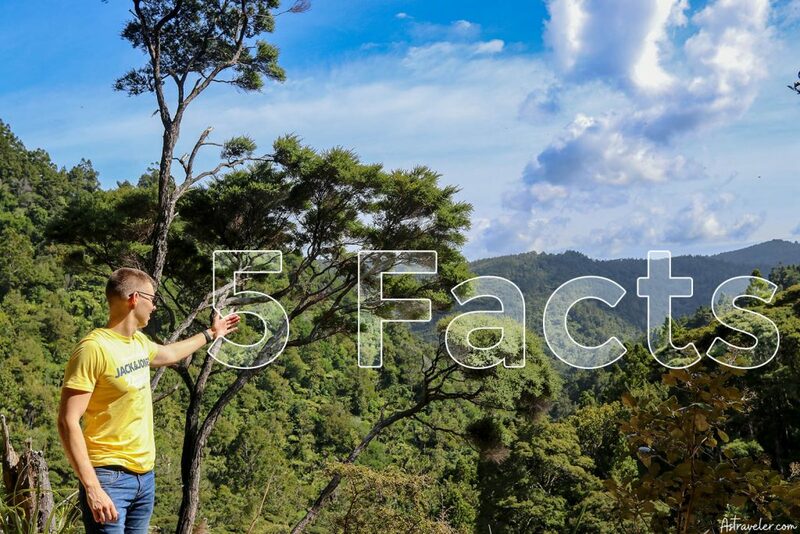 The starting price for the tour is $60 per person and it is a perfect destination for family travelers and those who like to hike. While preparing your itinerary for New Zealand, you should add Mount Eden; the highest volcanic cone of Auckland to your list. 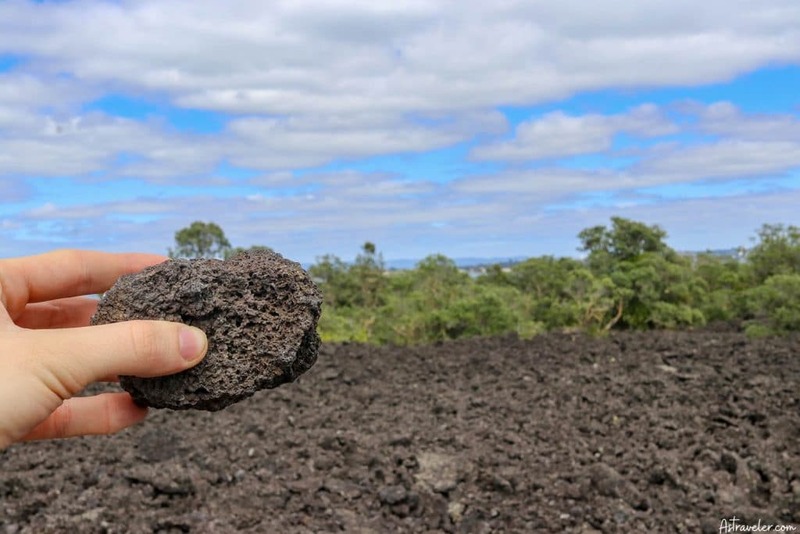 Visiting one of the volcanic fields in Auckland is the best way to capture some of the beautiful views. 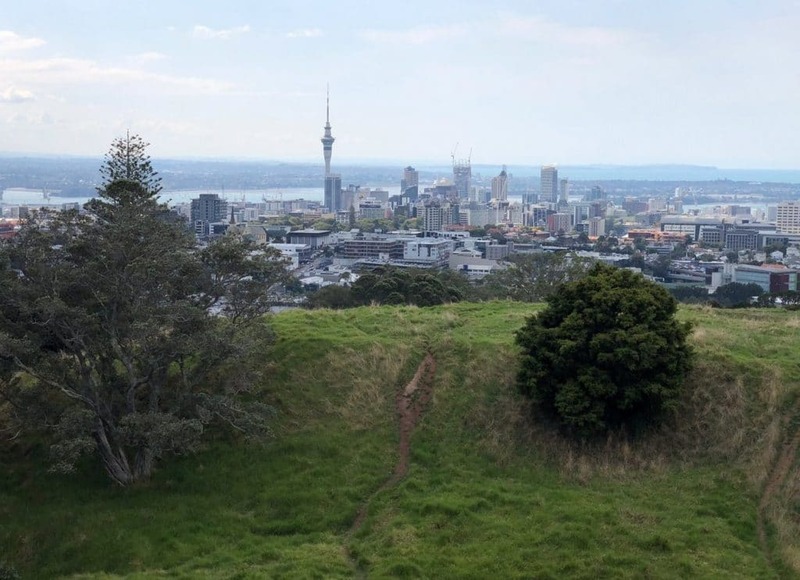 A 2km walk to the top of Mt Eden with a tour guide will let you gain knowledge about the last volcanic eruption that had left a 50 meter deep crater. As it is the highest natural point, it is a popular destination for locals as well as tourists. You will require about one hour to reach the top and the spectacle of the surrounding areas from the summit are truly amazing. To view 135 species of animals including the rhinos, red pandas, lions, elephants and tigers, you can consider visiting the Auckland Zoo with your family. The zoo opens at 9:30am and closes at 5:30pm. Sometimes during summers, the zoo is open until 8pm on selected dates so that the locals can visit after work to celebrate warm summer evenings. During school holiday season, the zoo hosts guided tours for night safaris to view the animals in the dark. Price of tickets for night safari is $50 per person. Auckland is one of the few cities in the world that has two major water bodies – the Tasman Sea and the Pacific Ocean. So, you will come across hundreds of beautiful beaches in the city. Boasting of about 29,000kms of coastline, there are varied kinds of beaches to explore, consisting of black-sand surfing spots to white-sand beaches. Some of the most popular beaches of Auckland are Pakiri Beach, Takapuna Beach, and Orewa Beach. In most of the beaches, you can swim and relax on the clean sands or go kayaking and windsurfing. However, ensure that you swim only between the red and yellow patrol flags and on beaches that are being patrolled by professional life savers. Located in the heart of Auckland, City Lodge is a 5-star pocket-friendly gatehouse that is popular among backpackers. It is a unique combination of hotel and hostels in Auckland. As per your preference and requirements, you can either select a single room, double room, triple room, or quad room. There is a common lounge where you can chit-chat with fellow travelers or play a game of pool. It is a perfect choice for those who want to stay in a friendly atmosphere for an affordable price. This is the place where I stayed and I can admit that it was a pretty good decision. Grand Millennium, Auckland is a comfy hotel that consists of 452 lavish rooms and suites. 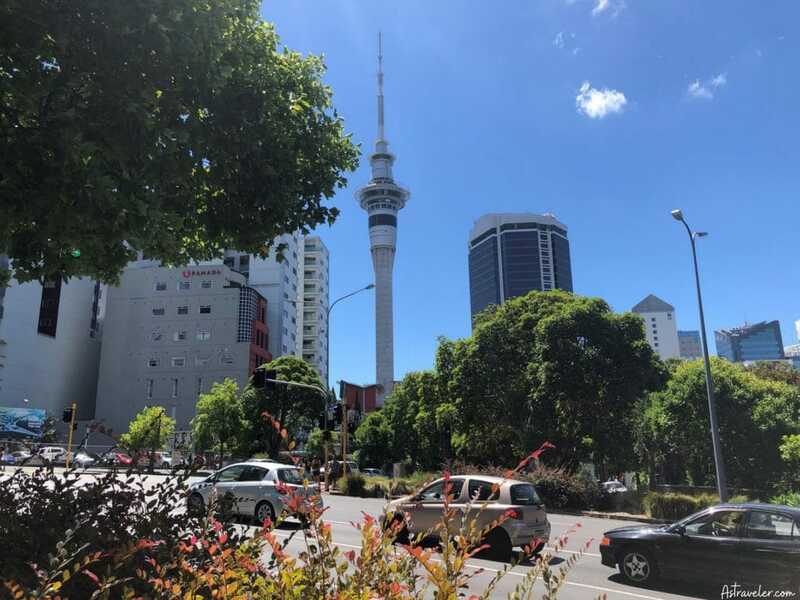 It is close to various landmark venues like Aotea Square, Spark Arena, Sky Tower, The Civic, and The Auckland Town Hall so traveling to popular attractions of Auckland becomes easy. You can make the most of your time while staying in this hotel by relishing a Japanese meal or swimming in ha eated indoor pool. Moreover, if you have an electric car then it can be valet parked at the hotel and charged overnight for free of cost. Be assured that you will get excellent service, clean rooms, and mouth-watering meals in the hotel. Cordis, Auckland by Langham Hospitality Group is a 5-star hotel, which is close to several galleries, beaches, boutiques, and museums. There are 411 rooms, and all of them are extremely comfortable and elegant. Depending on your preferences and requirements, you can either select a deluxe room, superior room, or any of the suites that are offered. Some of the wonderful amenities provided are heated rooftop pool, health club, and spa, among others. The various other facilities make Cordis a perfect choice among leisure travelers as well as business executives. If you do not want to wait for a bus or pay higher fares for a taxi then you should select Uber for your conveyance in Auckland. Uber is cheaper than taxis and can be easily booked through online apps. Moreover, the Uber Pool option is perfect for those who do not mind sharing their ride with fellow travelers or locals. Red, green, blue, and amber colored buses operate on a regular basis in various areas of Auckland. These buses are the easiest way to get around the city as they operate from the remotest part of Auckland. Locals, as well as travelers, prefer using the Link Bus services as it is the most convenient way to travel. Moreover, all buses are air-conditioned as well as wheelchair and pushchair friendly. You can know more about the Link Bus Services by visiting this website. There are many areas in Auckland where you can walk or bike to enjoy its beauty, at your pace. Riding a bike is easy as you won’t have to deal with parking hassles or traffic jams. Cycling would even produce zero pollution, improve your health, and save money. However, ensure to obey road rules and plan your route in advance so that you have a comfortable ride. You can also try electric scooters which are really popular in New Zealand. Traveling by train is a good choice for those who want to reach their destination quickly. There are over 41 stations across four lines in Auckland; Eastern, Western, Southern and Onehunga. It is advisable to reach few minutes early to the train station so that you do not miss the train. You can either purchase a paper ticket from the ticket counter or use the AT HOP card by topping up on a regular basis. Things To Do In Queenstown: The Adventure Capital Of The World! After exploring Auckland completely, you can book a flight from Auckland To Queenstown, which would be an approximate two hour journey. Queenstown is famous for its crystal clear Lake Wakatipu, mesmerizing mountains, adventure sports, and amazing vineyards. There is so much to explore in the town, that without proper planning, you will not be able to view the popular attractions. 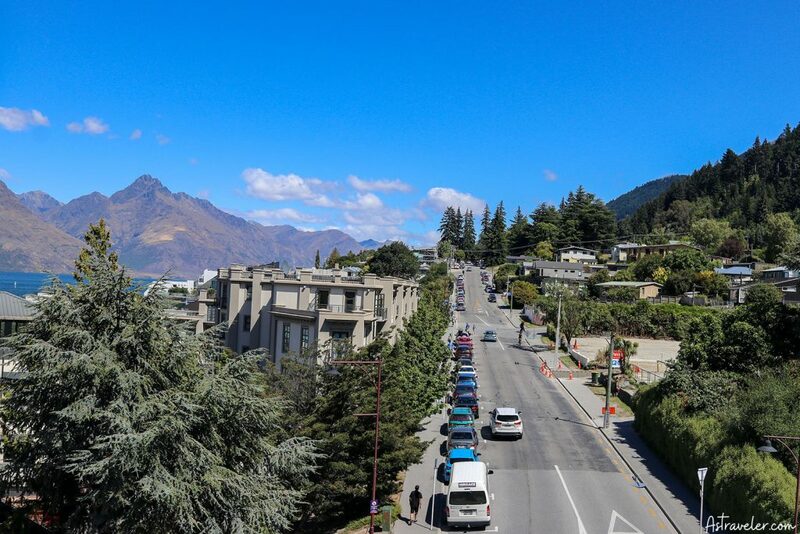 After spending a few days in this wonderful town, I have created a list of things to do in Queenstown, so that you do not miss out the best areas to visit during your travel. Your trip to Queenstown would be incomplete if you do not take a scenic gondola ride to view the beautiful town and its surrounding mountains. During my trip, I booked for the tranquil Gondola ride as well as five thrilling Luge rides by Skyline Gondola. Through the cable car, I was carried 450 meters above Queenstown where I could have a spectacular 220 degree panoramic view of the town. By spending $60, I could experience the epic Gondola trip to and fro as well as five exhilarating luge rides. The speedy Luge cart was a super-fun activity that can be enjoyed by the entire family. You can even alter the speed and course as per your choice because the carts have unique steering and braking system. There were dedicated Luge tracks at the Skyline complex, which made the entire ride safe and secured. After completing all Luge rides, I took the Gondola back down to the base. To have a memorable Jet boating experience, I had booked for one-hour boating ride through KJet. The ride covered 45kms over the pure waters of Lake Wakatipu. It was fantastic to view the stunning mountain range, river gardens, homes lining the lakeshore, and beautiful clean waters. The cost of the ride per adult is $135 and per child between 5 to 14 years is $69. Kids below the age of 5 years can travel for free and those above 14 years will be eligible for adult rates. If you are inquisitive to know what Kiwis eat for breakfast or want to gain knowledge about these wonderful birds then you should visit the Kiwi Birdlife Park in Queenstown. Kiwis are usually inactive during the day and come alive during night. To make the park visitors view their daily activities, the park reverses the clock by providing specialized lighting effects. This makes the Kiwis feel comfortable during the day and you can thus view them grooming and eating. The Kiwi Birdlife Park opens everyday at 9am. There are fixed timings for Kiwi feeds and conservation shows, which should not be missed at all. Queenstown is famous for its adventurous sports across the world. 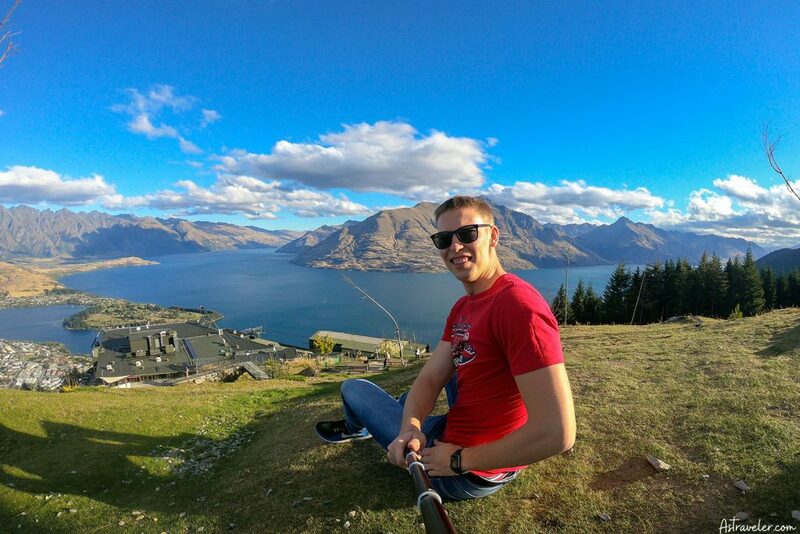 Travelers from different parts of the world visit Queenstown for adrenaline activities such as Bungy Jumping, Canyon Swing, Ledge Swing, Luge Rides, Ziptrek, white water rafting, and KJet among others. You must experience at least one of these adventurous sports on your visit to Queenstown. For Bungy Jumping, you can either select Nevis Bungy, which is the highest bungy jump in New Zealand, Kawarau Bridge Bungy, wherein you can experience water touches, or the Ledge Bungy, which is located above Queenstown. Whatever you select, one thing is for sure that these activities are only for serious adrenalin junkies and not for faint hearted travelers. Milford Sound is one of the most stunning natural attractions of New Zealand. It is the only fiord in the country that is accessible by road. The mesmerizing mountain peaks and gushing waterfalls should be experienced at least once in a lifetime. 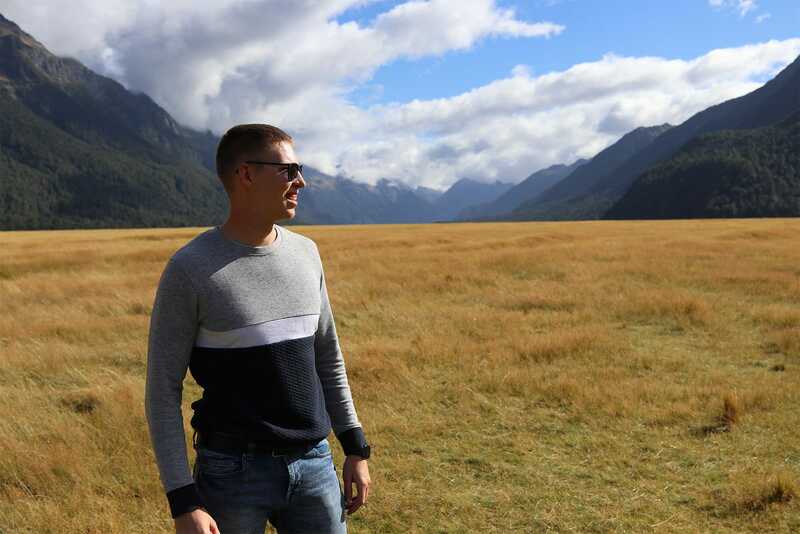 Usually travelers take a day trip from Tw Anau or Queenstown to Milford Sound. 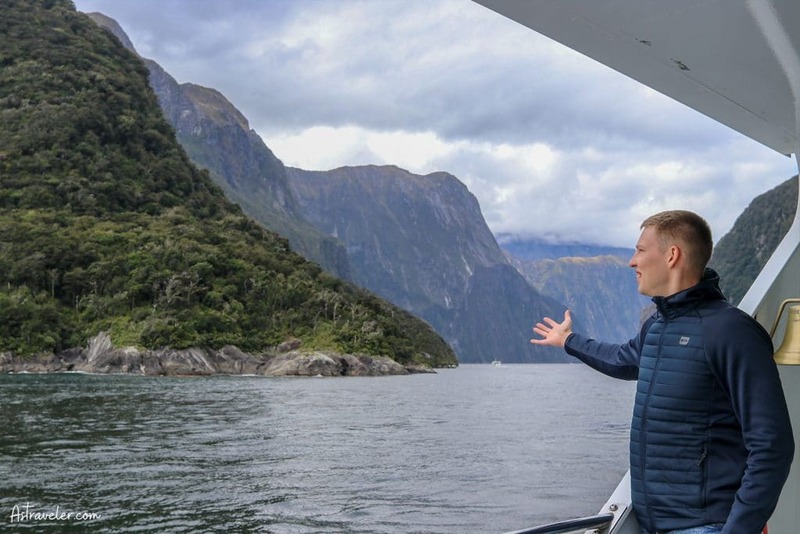 An excellent way to explore Milford Sound is by booking for a fascinating cruise trip during the day or overnight. I chose the cruise trip by Southern Discoveries to see the awe-inspiring views of Milford Sound through their glass-roof coach. The cruise was extremely comfortable with reclining seats and extra legroom. I was even provided the opportunity to taste pure glacial water from one of the waterfalls. The all-inclusive, freshly prepared, delicious buffet lunch, informative commentary, amazing views, and friendly coach driver made the entire trip an unforgettable one. If you are searching for hostel accommodation on a budget in Queenstown then the JUCY Snooze would be a good choice. Located in the heart of downtown Queensland, JUCY Snooze offers free WiFi and compact kitchen area for making tea/coffee and instant noodles. You can either select a double or quad room, a queen room with balcony / window, or book a private space in a shared room that is completely enclosed. Located in Kawarau Village, Double Tree offers luxurious rooms for an affordable price. Each room has a fully equipped kitchenette and lounge area with amazing scenic views of Lake Wakatipu and spectacular landscapes as a backdrop. The hotel is a 10-minute drive from Queenstown Airport, so if you intend to stay close to the airport then Double Tree Hotel should be your first choice. To have a luxurious stay in Queenstown, you should book a room in Crowne Plaza. The hotel is centrally located and provides views of wonderful mountain ranges as well as Lake Wakatipu. Each room has a balcony that offers amazing views, comfy seating and sleeping areas, flat screen TV, as well as complimentary WiFi. The favorite spot for their customers is to relax and dine in their lobby restaurant and bar with Lake Wakatipu at the backdrop and take back happy memories. To conclude, New Zealand is a paradise with rivers, lakes, beaches, and mesmerizing mountains that should be explored at least once in a lifetime. I hope that my New Zealand travel guide will help you in planning your trip well so that you have a safe and unforgettable holiday. Enjoy!